Give a new look to your glass or keep someone from walking into your sliding glass doors! 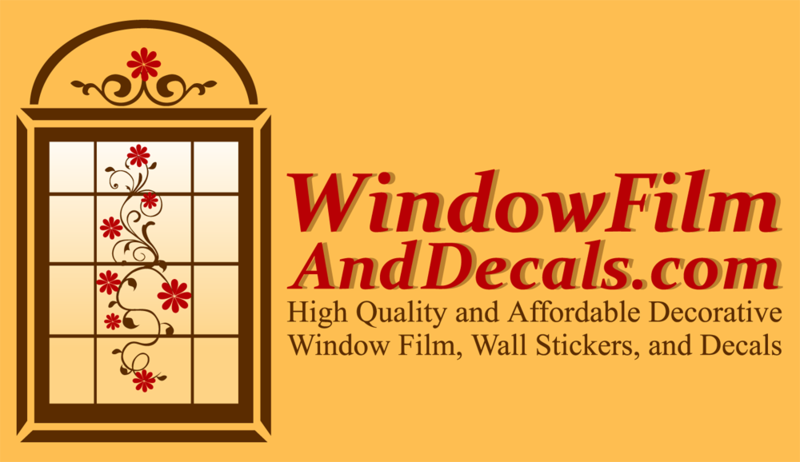 Add these lovely static cling decals to your windows, glass doors, mirrors, glass tables, sliding glass doors, motor home windows, and shower enclosures these window clings are quick, easy and inexpensive. Install with water and a few drops of liquid soap. Choose from Corners, Borders, and Centerpiece designs that add a decorative element without blocking the view. These beautiful decorative window decals are available in both stained glass and etched glass designs. Steam and moisture will not affect these window clings; therefore they can be used on bathroom mirrors, windows and showers. Removes easily when it is time to redecorate. Butterfly Static Cling Window Decal 4" x 6"
Flamingo Static Cling Window Decal - Left 8" x 12"
Flamingo Static Cling Window Decal - Right 8" x 12"